Join us on a fun filled, action packed 2 hour adventure around the stunning Mallorcan Coastline that you will never forget! See why we have over 290 5 star reviews on Tripadvisor and are voted the number 1 excursion in Magaluf. 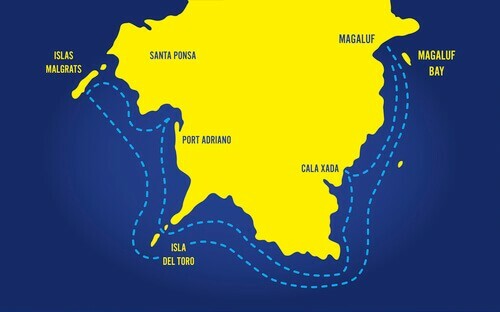 We take you out on our high speed Jet Boat which includes stops at the amazing caves and beautiful bay of Porto Vells. Here you get to try out all the activities we provide as part of your excursion including Stand Up Paddle Board, Snorkelling and the all new for 2018 – under water Sea Scooters! This will be the day you tell your friends about when you get home……….. The classic Bladerunner Sunset tour is a true memory maker.. The sunset tour starts from Magaluf Beach and is the last ride of the day. 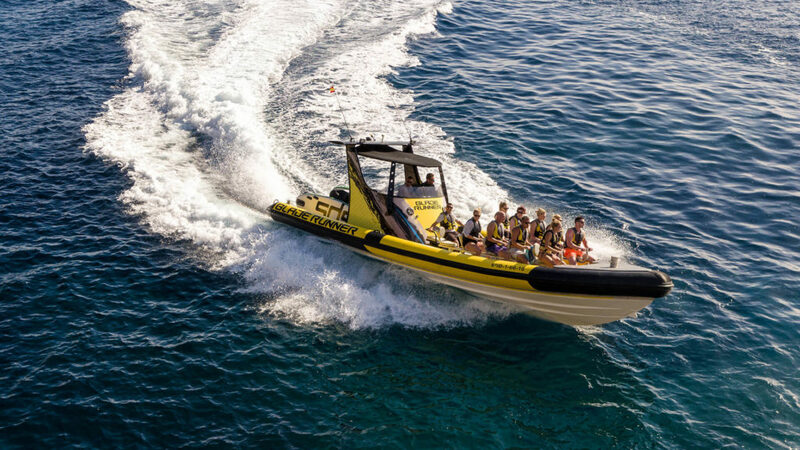 We take you up the stunning coastline of Mallorca where you get to enjoy the thrill of the Jet Boat whilst taking in the beautiful surroundings. A stop is made for you to have a swim in the clear waters of the Mediterranean and try all our amazing activities including Snorkelling, Stand Up Paddle Boarding, Rock Jumping and new for 2018 our Under Water Sea Scooters. From this point we take you off to our favourite viewpoint and watch the sunset over the famous Malgrats where you can capture the moment on your cameras and enjoy our complimentary glass of Champagne. Once the sun has set and the champagne has gone, we return you to Magaluf Beach to enjoy the rest of your evening. Want to know more before you book? Leave newly renovated Calnova Marina….head south west along the coastline of Mallorca …1 hrs of watersports…1hr of snorkeling ./sunbathing /drinkinking….45mins of visiting stunning coves/coastline on the way back.